@pizzaseoEN posted on Twitter a UTF-8 experiment done by @dusoft around making your title tags stand out more in Google's search results. 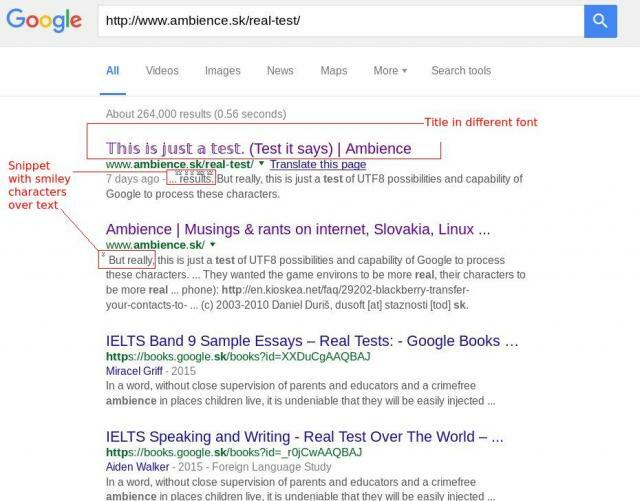 If you search for this is a test, the page may indeed come up in the Google results. It won't rank any better than any other page, but Google does understand that text in that font format. Truth is, it looks way too weird for me to encourage anyone else to try it but it is always fun covering these weird attempts to try to differentiate yourself in Google's ten blue links.